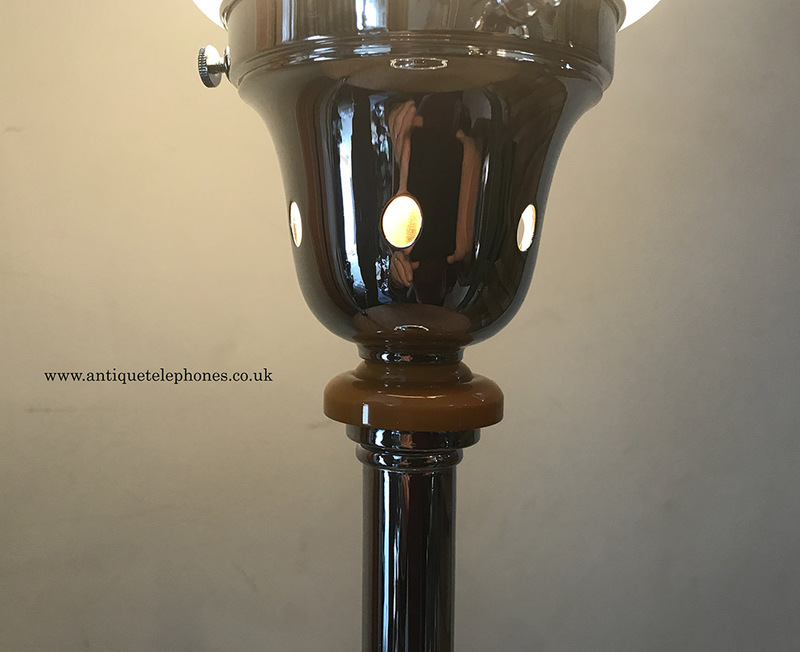 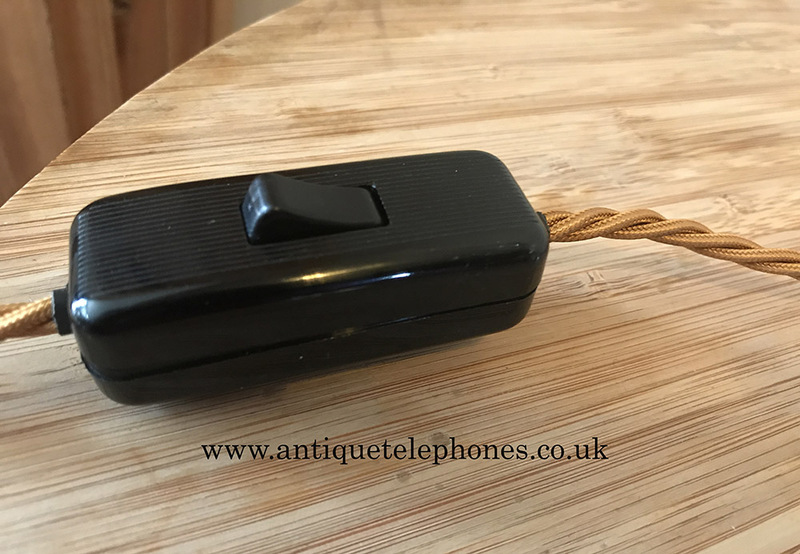 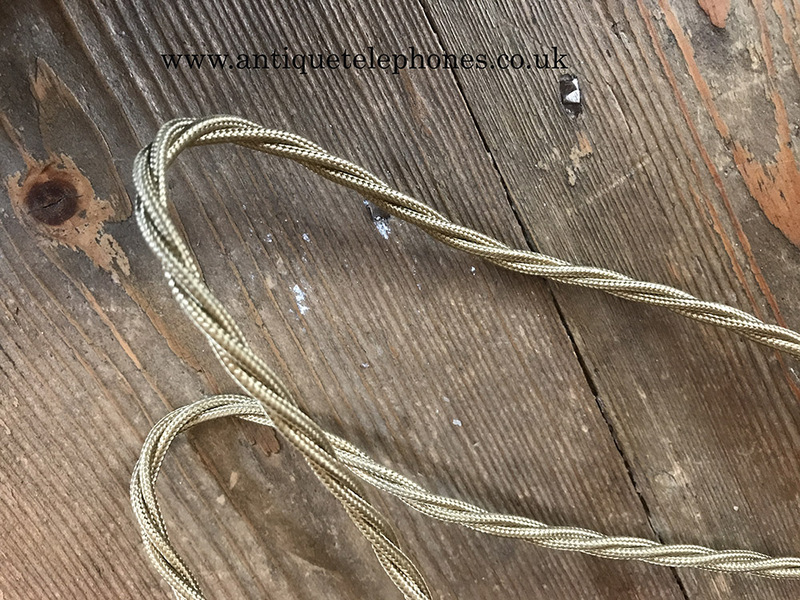 Home > Genuine Post War Anglepoise Light > Art Deco Bakelite lamps. 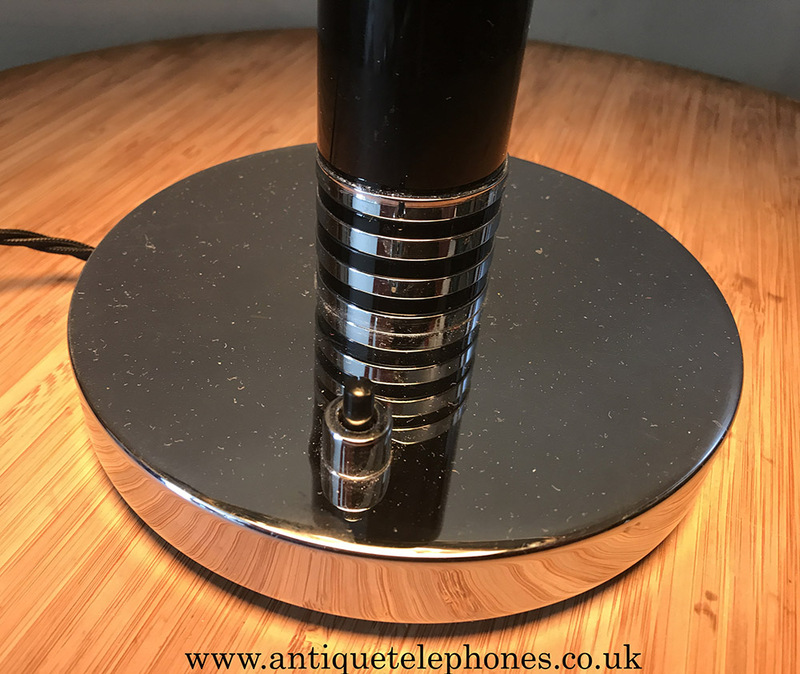 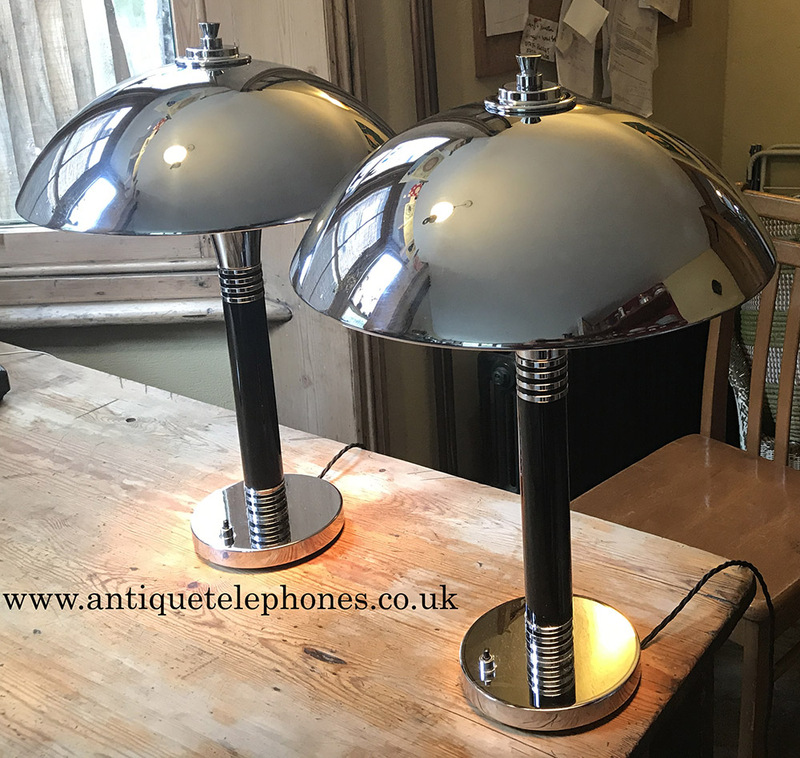 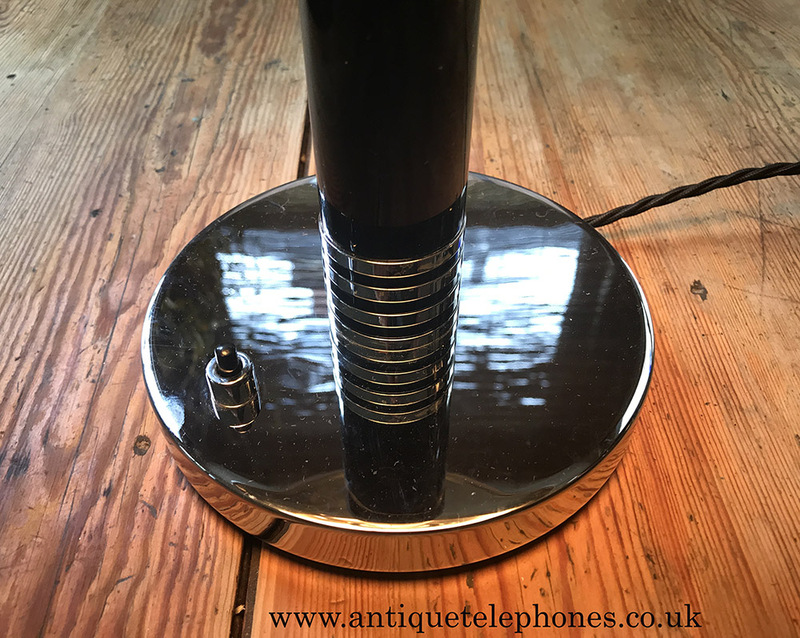 A wonderful pair of Art Deco black and chrome table lamps. 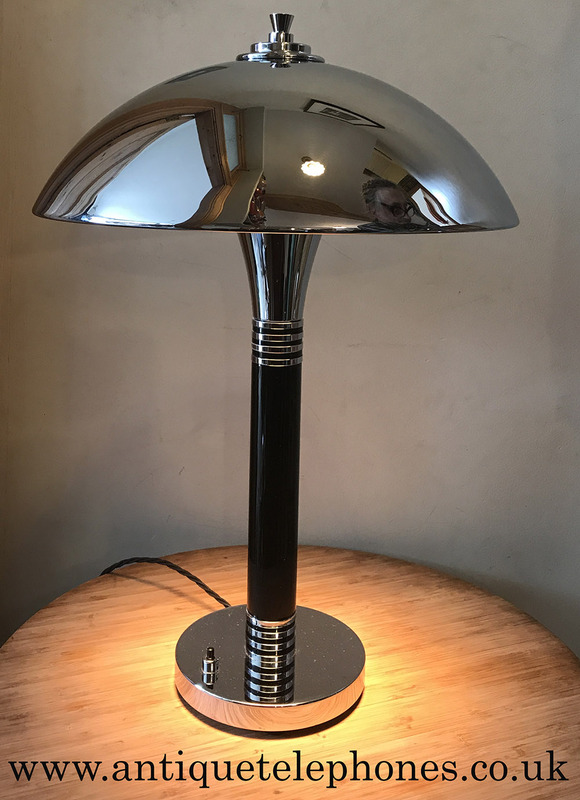 Fabulous rare item. 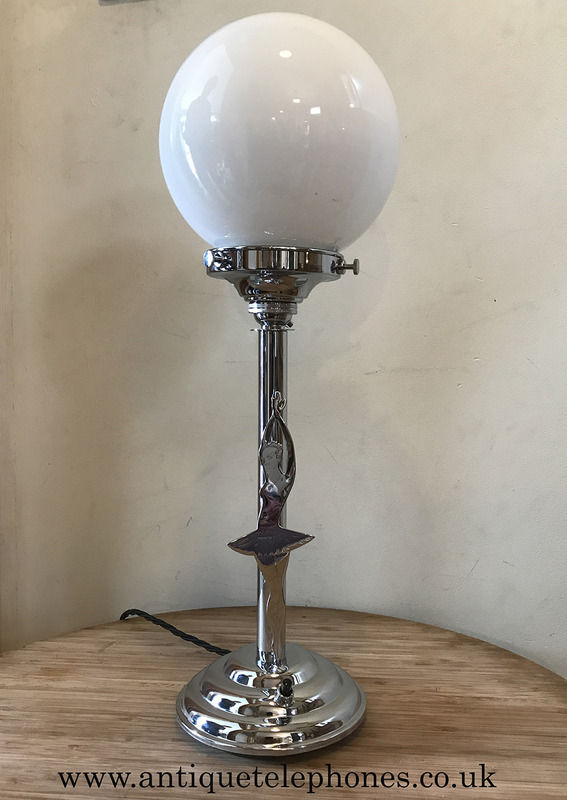 This is for one lamp only. 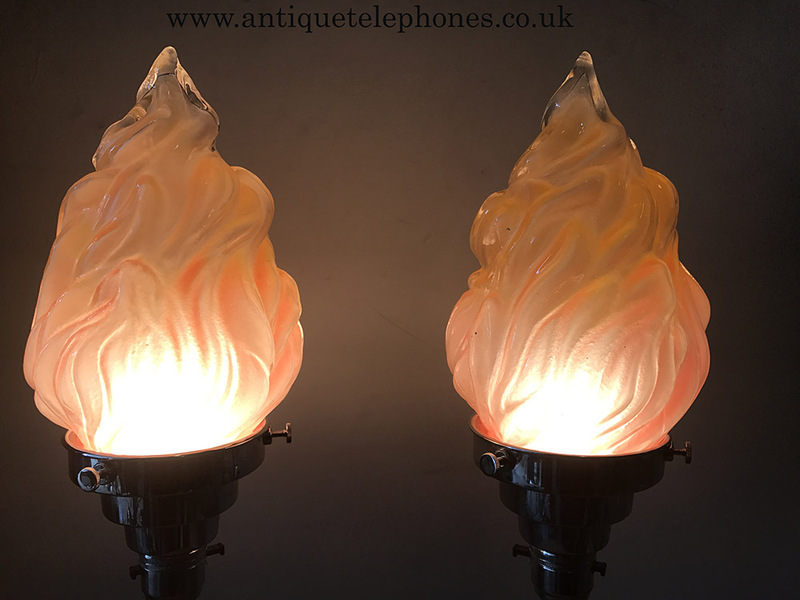 Pair of Art Deco chrome with flame shaped glass shades. 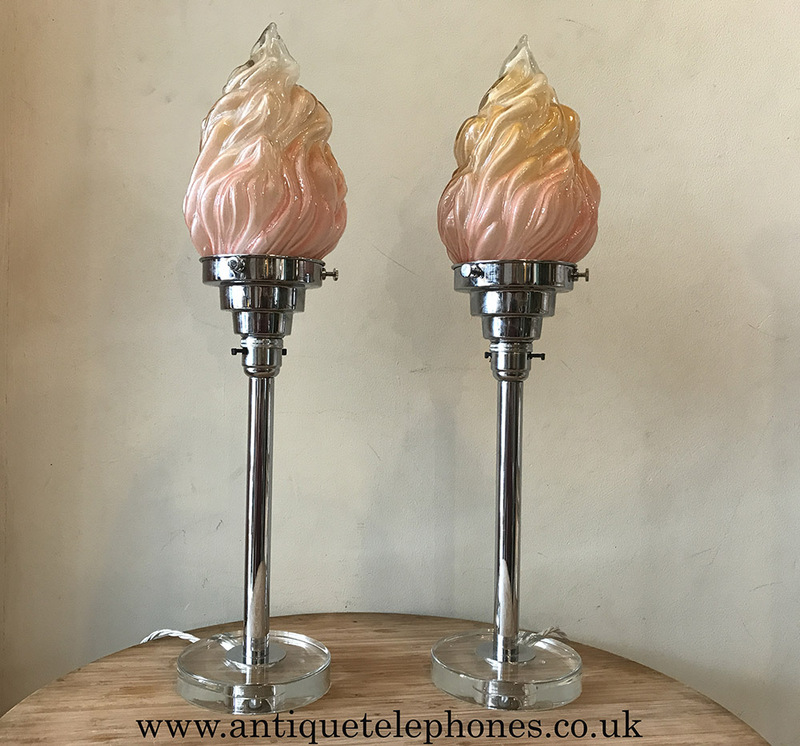 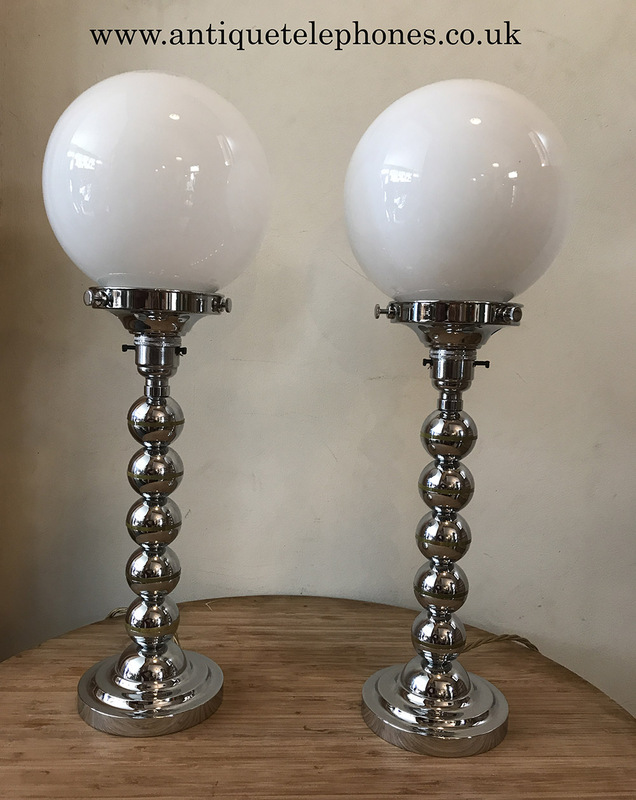 Stunning pair of Art Deco flame and chrome lamps. 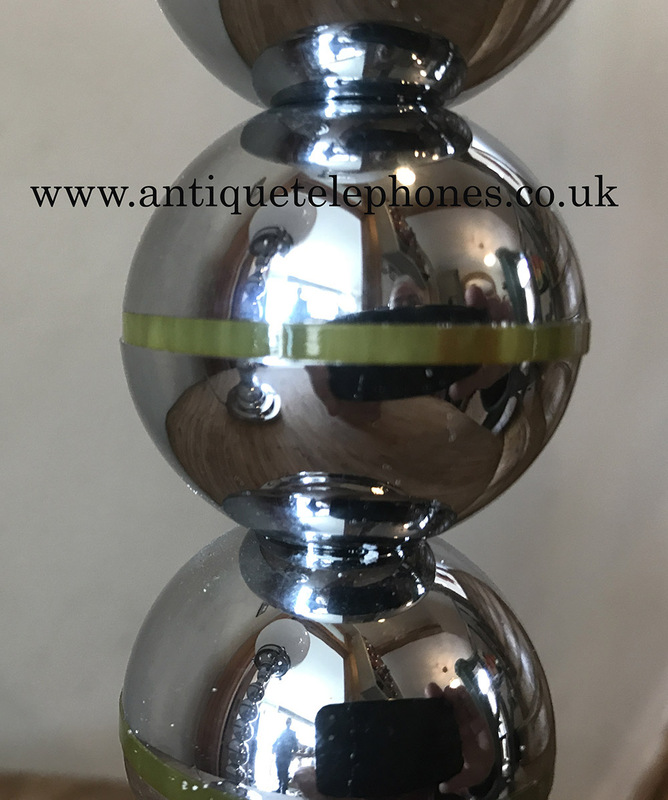 Height: 16”; Base width: 4.875”; Shade width: 5”. 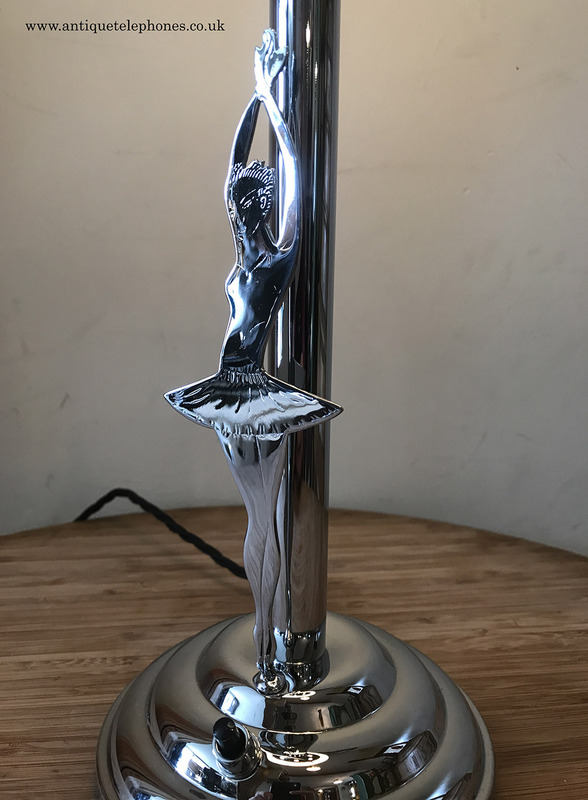 One Art Deco chrome ballerina chrome lamp. 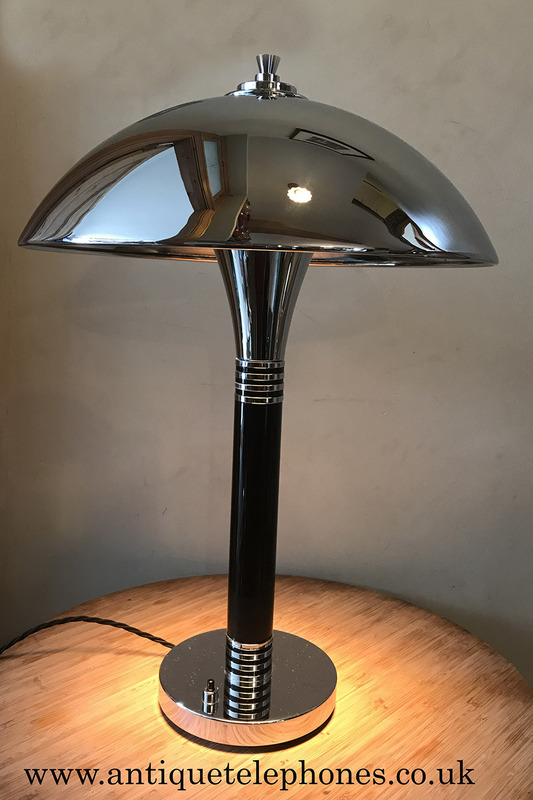 Beautiful elegant ballerina chrome desk lamp. 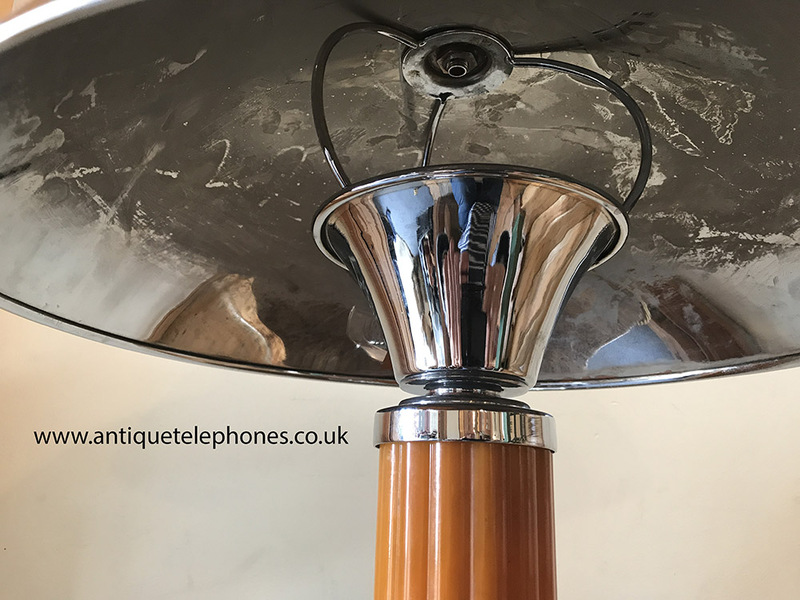 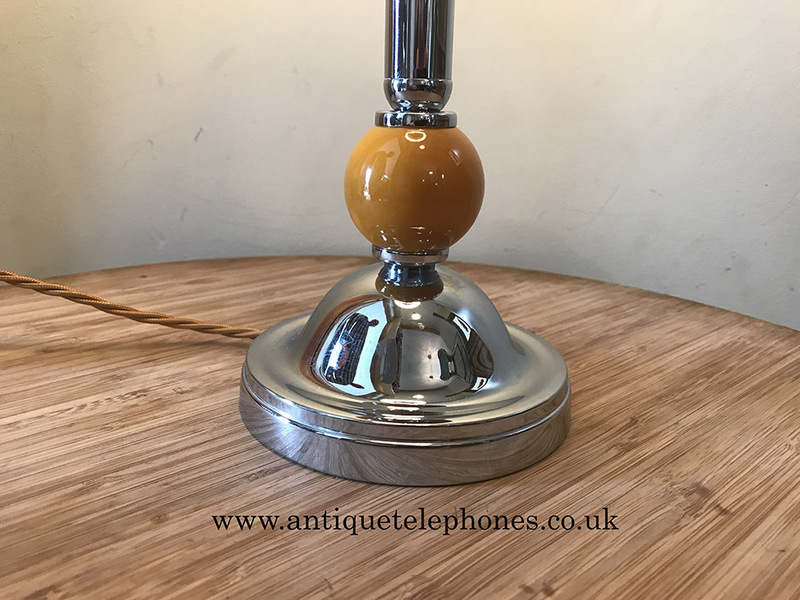 Height: 17”; Base width: 5”; Shade width: 6"
Single butterscotch and chrome Art Deco lamp. 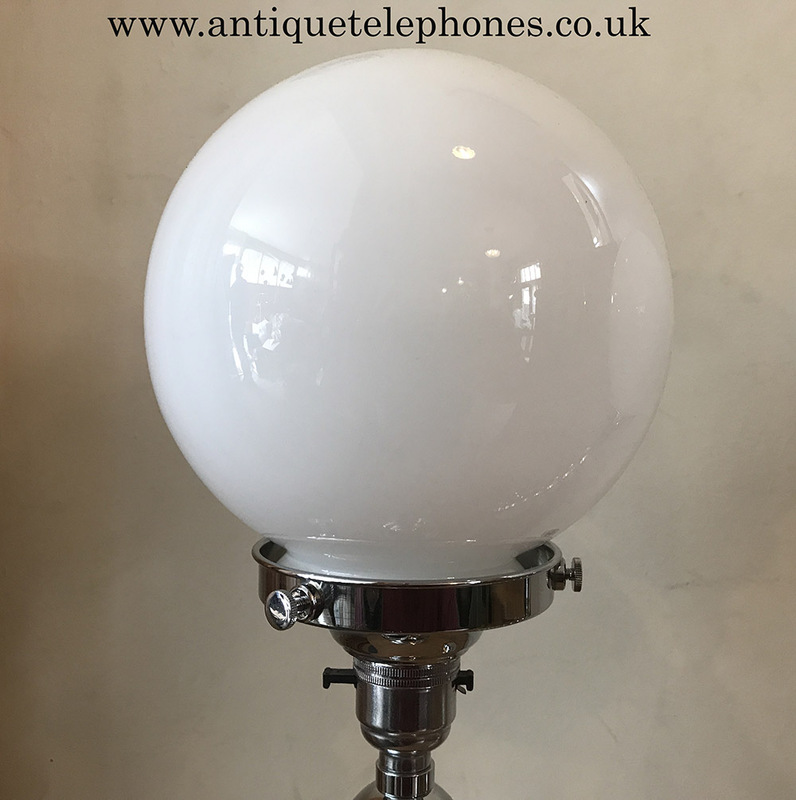 Height: 20”; Base width: 4.75”; Shade width: 6”. 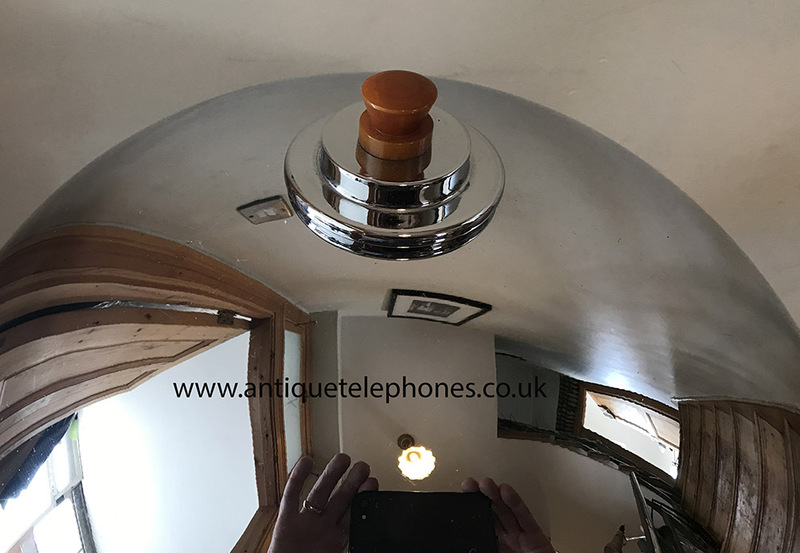 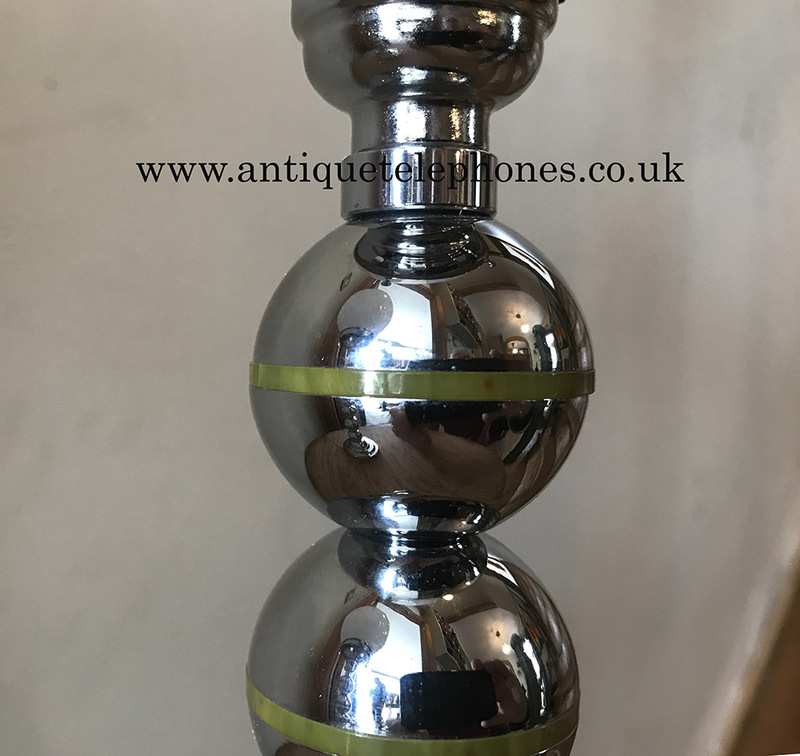 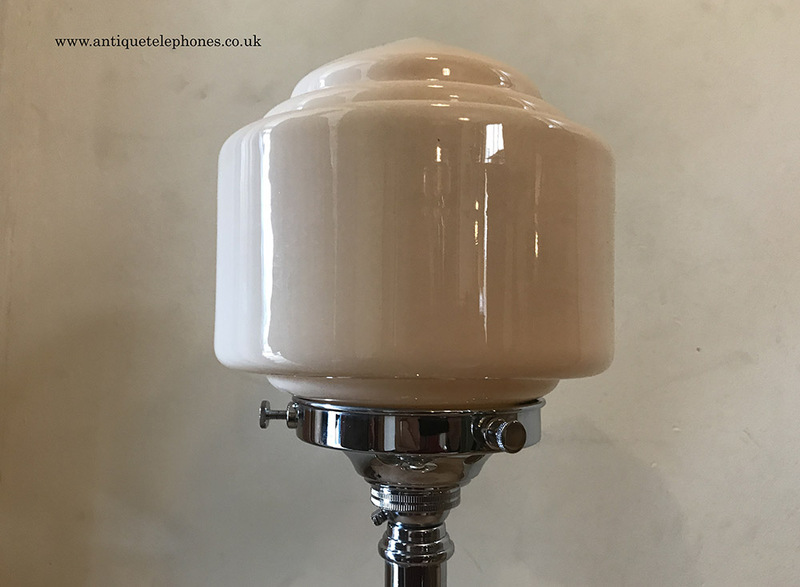 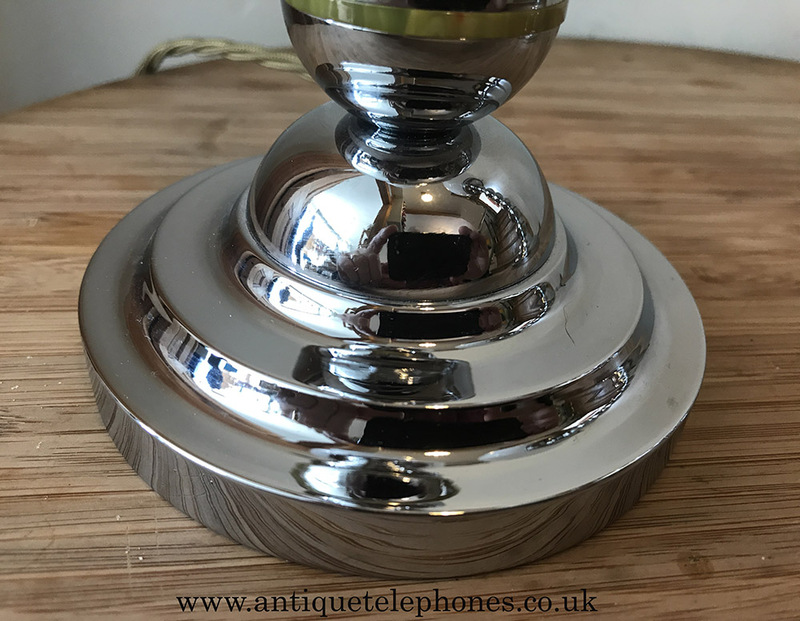 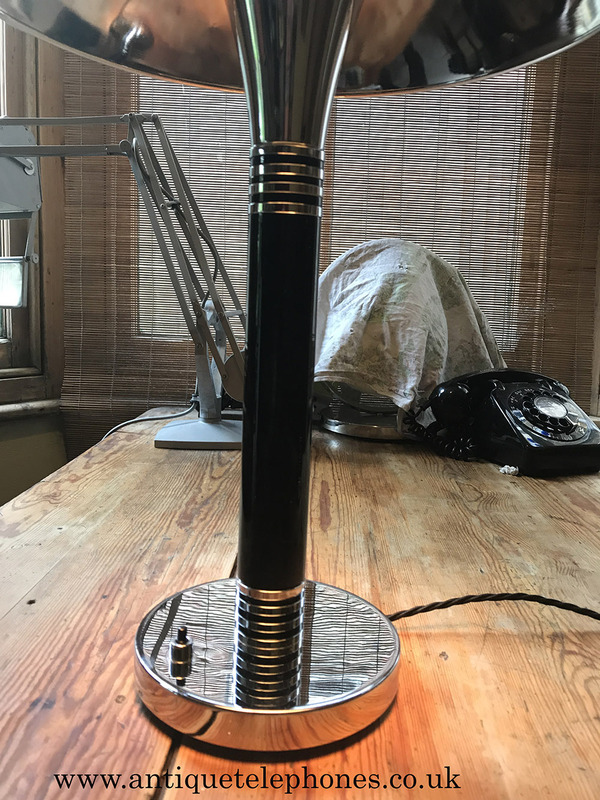 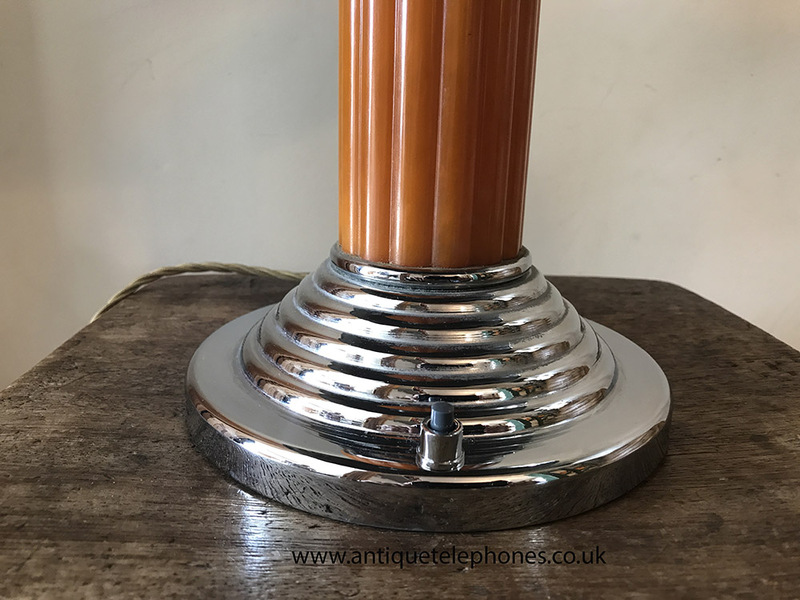 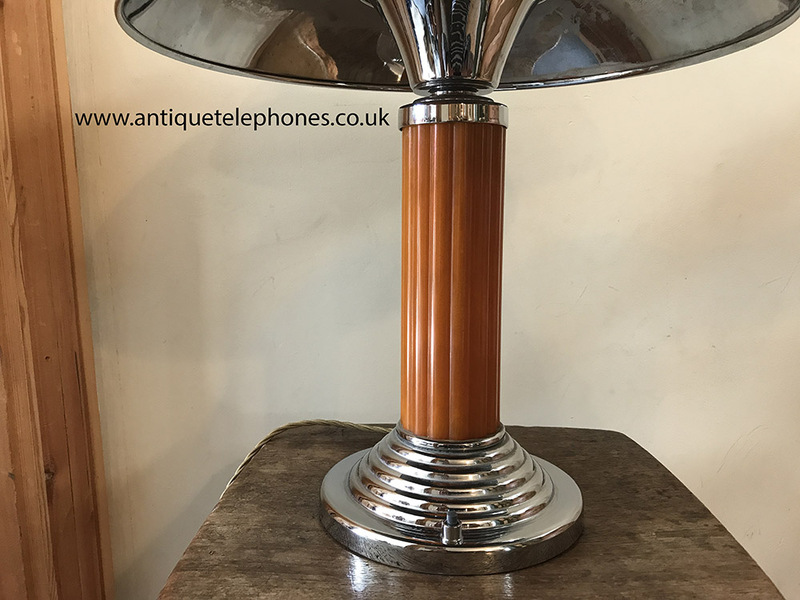 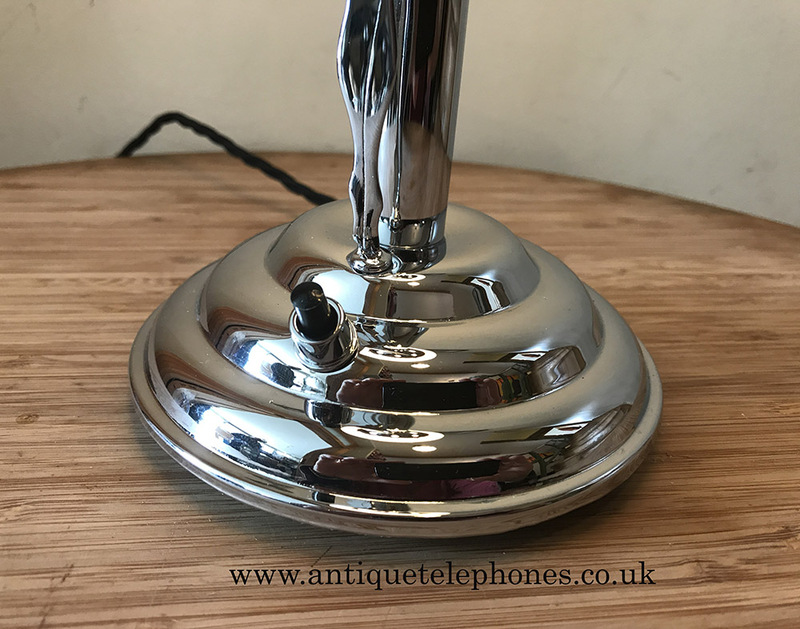 Single chrome Art Deco lamp. 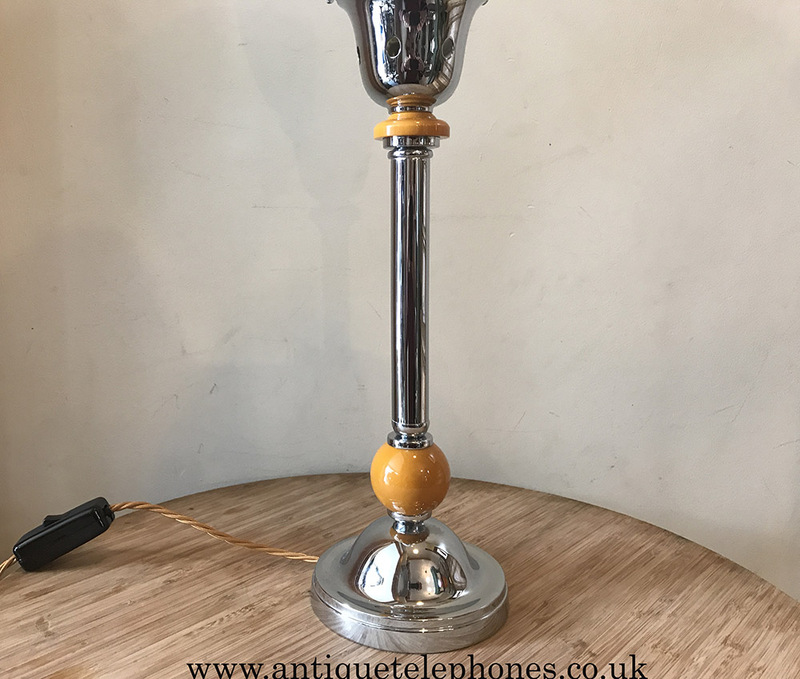 Beautiful chrome Art Deco lamp and glass shade. 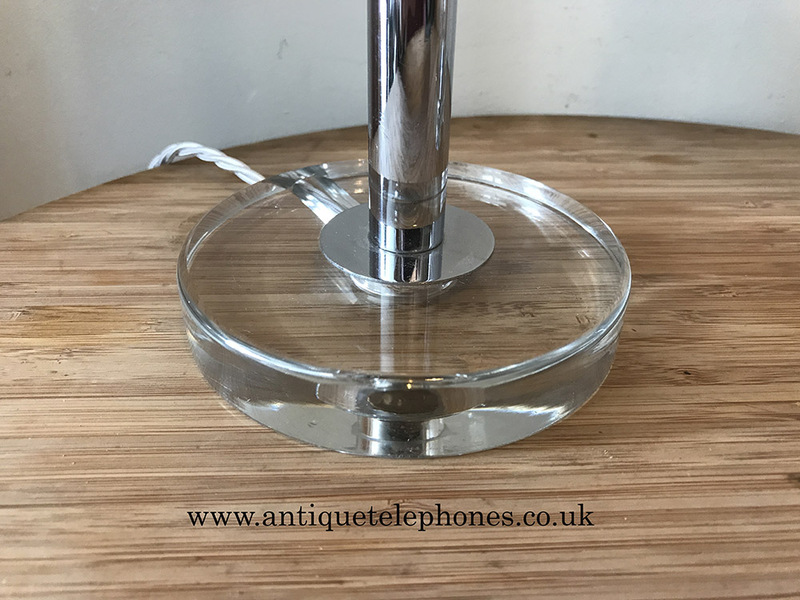 Height: 17”; Base width: 5”; Shade width: 6”.